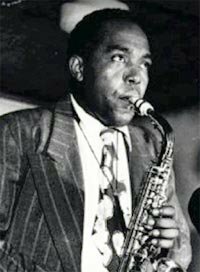 March 12, 1955: famed jazz musician Charlie "Bird" Parker died following a 15-year addiction to heroin and alcohol. The Kansas City native had become one of the greatest alto saxophonists in the world thanks to his innovations in the "bebop" jazz style. Parker was born in Kansas City, Kansas, on August 29, 1920. He grew up in Kansas City, Missouri, where he played in jazz clubs as a teenager and young man. The local jazz culture based in the Vine Street nightclub district cultivated his talents as a teenager. Indeed, it was during this period that Kansas City made notable contributions to jazz with hometown artists such as Count Basie, Bennie Moten, and Buster Smith. 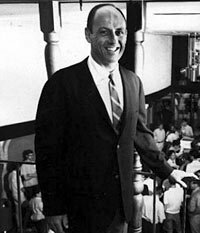 July 12, 1963: Stanley H. Durwood opened what is widely believed to be the first movie theater designed specifically as a twin multiplex. Located in the Ward Parkway Shopping Center of Kansas City, Missouri, Durwood's Parkway Theatres set a trend that eventually dominated America's movie house industry. Durwood himself went on to become one of the most prominent and award-winning entrepreneurs in the movie theater business. Stanley Durwood was born in Kansas City on August 5, 1920. September 17, 1964: On their inaugural tour of the United States, the Beatles attracted capacity crowds at every concert except for the Children’s Mercy Hospital benefit held in Kansas City, Missouri. The crowd of 20,207 was just over half of Municipal Stadium’s estimated capacity of 35,000 with seats installed on the field. The low attendance did not result from Kansas City residents dislike of the Beatles or ailing children; rather, the Beatles were caught in the crossfire of local animosity toward Charles O. Finley. January 15, 1967: The Kansas City Chiefs lost to the Green Bay Packers in Super Bowl I. The Chiefs’ presence in the first Super Bowl was fitting because the owner of the Chiefs, Lamar Hunt, was one of the key architects of the championship game. The first Super Bowl pitted the championship teams from each of the two professional leagues then in existence, the National Football League (NFL) and the American Football League (AFL). The AFL owed its existence primarily to the efforts of Lamar Hunt, who between 1958 and 1959 failed to convince the NFL to sanction an expansion franchise in Dallas, Texas. April 9, 1968: Frustrated with the slow pace of civil rights reforms and outraged at the assassination of Martin Luther King, Jr., protestors turned to violence in Kansas City. The riots shocked many residents of the city, which had long been known for its lack of racial violence despite its deep, underlying racial tensions. The assassination of King, perhaps the nation's leading exemplar of non-violent methods to bring about social change, ironically became the catalyst that brought simmering racial tensions to the point of civil disorder, not just in Kansas City, but in locales around the country. 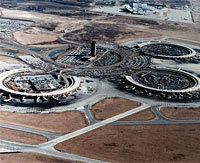 November 11, 1972: The Kansas City International Airport officially opened for commercial service. The airport replaced the existing Mid-Continent Airport at the same location. Twenty years before, the 1951 flood destroyed many Fairfax Airport facilities on the west side of theMissouri River and compromised operations at the downtown Municipal Airport. With the area’s two main airports shut down, Kansas City began planning a new airport 20 miles north of the flooded city. May 8, 1974: H. Roe Bartle, a former two-term Kansas City mayor and long-time Boy Scouts of America executive, died in Kansas City. Popularly referred to as "The Chief" (and the namesake of the Kansas City Chiefs football team), the charismatic Bartle was eulogized as one of the area's most important youth leaders and a dynamic public figure in Kansas City history. H. Roe Bartle was born on June 25, 1901, in Richmond, Virginia. His full name was Harold Roe Bennett Sturdevant Bartle, but he almost always used the shortened version. January 28, 1978: At about 4:00 a.m., a catastrophic fire broke out at the Coates House Hotel on Quality Hill near downtown Kansas City, Missouri. By the time that the fire was controlled around 8:00 a.m., the south part of the historic building was nearly destroyed and 20 people had died. After the ashes settled, the overriding question facing the city was whether the historic hotel would be demolished or restored and revitalized. July 17, 1981: 2,000 dancers gathered in the atrium of the Hyatt Regency Hotel to partake in one of the regular "tea dances," which had become a local tradition over the previous year since the luxurious hotel had opened. Dozens had gathered on three walkways suspended from the ceiling so that they could observe the festivities below. At 7:05 p.m., two of these 32-ton walkways suddenly collapsed onto the dancers below. The disaster resulted in 114 deaths, 200 additional injuries, and as many unanswered questions from the victims' families and the survivors of the tragedy. 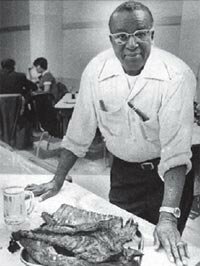 December 28, 1982: Arthur Bryant died while working in the restaurant that he turned into a world-famous barbecue joint. Bryant was born in 1902 in Branchville, Texas, and attended Prairie View A&M, an all-black agricultural college. 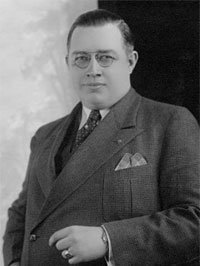 After declining to teach agricultural classes, he moved to Kansas City in 1931 to join his brother, Charlie, who worked for local barbecue magnate Henry Perry.